The Masters is one of the most prestigious golf tournaments in the world, with very selective qualifying standards. Billed as "a tradition unlike any other," the Masters golf tournament–held every April in Augusta, Georgia–is unquestionably the most famous golf tournament in the United States, perhaps in the world. It is the first of four men's professional golf major championships. Home to pristine greens, pimento cheese sandwiches and the world's elite players, it's no easy feat to qualify for the Masters. PGA Tour players ranked in the top 50 in the world–either immediately before the Masters or in the final rankings from the previous calendar year–earn invitations to the tournament. So do those players who have won certain PGA Tour events in the past year, qualified for the previous year's Tour Championship or finished in the top 30 on the final tour money list from the previous calendar year. Winners of The Players Championship the past three years also earn a trip to Augusta. Amateurs competing in the Masters stay in the clubhouse's famed Crow's Nest, a tradition dating to the tournament's beginning. Amateur players who receive invitations to the tournament are the current champions of the U.S. Amateur, British Amateur, Asian Amateur, U.S. Amateur Public Links and U.S. Mid-Amateur. The runner-up at the U.S. Amateur also qualifies. Because of their amateur status, these players cannot accept prize money from the tournament. Playing well at the Masters can earn a player a return trip, as can a strong showing at one of the other three major championships. 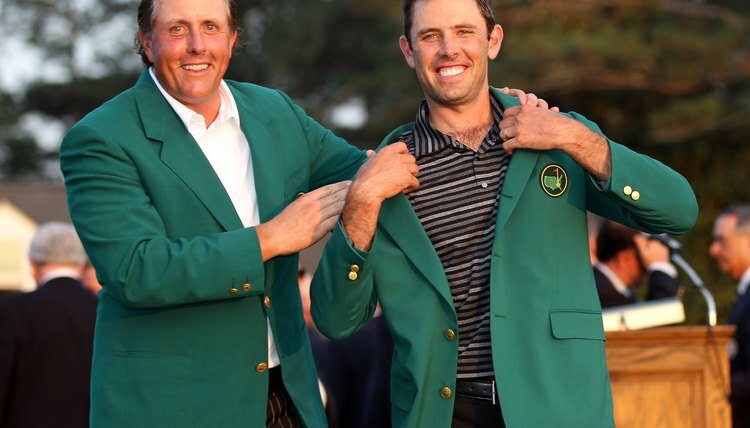 Winners of the U.S. Open, British Open and PGA Championship from the past five years are invited to the Masters. Win the Masters, and you earn a lifetime exemption. In addition, the top 16 finishers from the prior year's Masters, the top eight finishers from the prior year's U.S. Open and the top four finishers from the previous year's British Open and PGA Championship also earn spots in the Masters.